A great many home improvements and repairs are done by homeowners and even some contractors without the benefit of legally required building permits and the mandatory inspections that go with them. The reasons for bypassing these regulations are many, often because a homeowner or contractor is trying to dodge the expense of the permit, or because they fear that taxes will increase if improvements are officially cataloged. In reality, most (not all) of the fears regarding the permit process are groundless, and the potential for serious problems is quite large if you fail to apply for the proper permits and fail to have your work inspected. Here are twelve realities about the building permit process that many people do not realize. A lot of nervousness occurs because homeowners think that any repair or improvement they do around the house will be scrutinized with a fine-tooth comb by an inspector who is intent on catching every tiny flaw. In reality, there are many repairs and improvements that can be done without a permit. The rules for this vary widely from community to community, and the same project that requires a building permit and scheduled inspections in one locale may not require one in another jurisdiction. But generally speaking, you are allowed to replace most existing elements of your home without a permit, while anything that changes the structure of your home or represents a real estate improvement will require a permit. You can replace a broken wall switch or worn-out faucet, for example, but adding a deck or room addition calls for a permit. Your community may have online resources that explain what types of work require permits and inspections, or you can call the permit office and ask to talk to an inspector. Some people fear that the moment you call the local building inspections and permit office, you immediately are flagged for scrutiny. This simply isn't true. The permit office exists to ensure that home improvements are done safely and pose no risk to residents, and inspectors are generally happy to answer questions. If there is no inspector currently available, one will call you back and answer any questions you have, such a "Do I need a vapor barrier behind my tile shower walls?" or "How high can my garage be?" You may be surprised to learn that there is no set fee for a building permit, but that permit costs vary according to the estimated cost and complexity of the project. Building a fence may require a $55 permit, for example, while building a large new house might require a $2,000 building permit. Nationally, the average building permit cost $1,043 in 2018, with a typical range of $400 to about $1700. But these average costs represent many permits for the new construction of entire houses, and there are many projects for which the building permits cost $100 or less. It is pretty common for permit costs to be based on a percentage of the anticipated cost of the project. If you are working with a contractor, the costs of the permit are usually included in the bid you've received. Some homeowners worry that city inspection offices will not allow them to do their own work, but will only issue permits to professional contractors. This is another myth, since inspection offices routinely issue permits to homeowners to do all kinds of work themselves—up to and including serving as a GC (general contractor) when building an entire house. For this kind of project, your community may issue a special "owner/builder permit" that allows you to occupy the home for a specified period (usually around 1 year) while subcontracting out the individual tasks for the job. As an owner/builder, you act as your own general contractor instead of hiring one. This does allow you to save on that painful 15 to 25 percent fee charged by GCs, but you also carry the burden of potential liabilities, many of which can be serious. 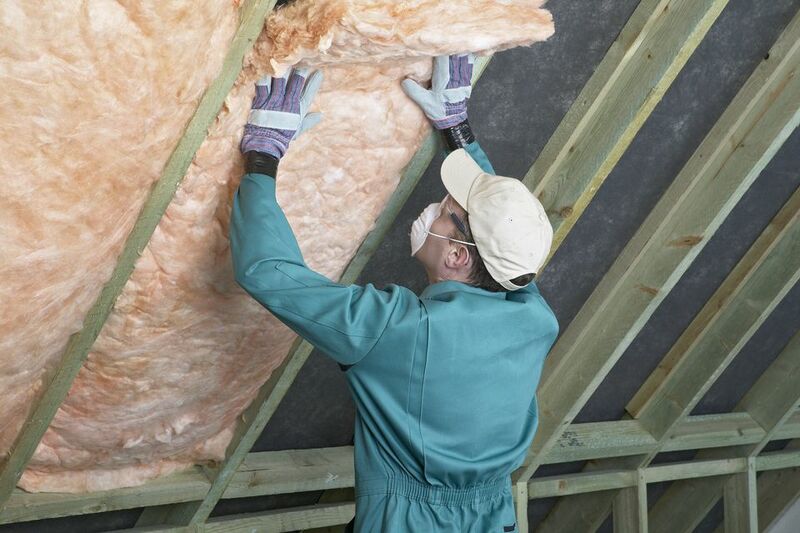 Hiring a licensed, insured, bonded contractor better insulates you from these liabilities. Wherever a power line, sewer main, sidewalk, or other common-and-continuous service pathway passes through your property, you probably have an easement—a legal restriction that prevents you from making changes that affect or restrict these utility lines or other features. There are instances, for example, where a portion of your property may be reserved for a potential future road. You will be unable to build on any portion of your property where there is an easement on record. To learn about any easements in effect, check your property's plat, available online at your county assessor's site or at its offices. Generally, you are never allowed to build on easements, unless they are minor additions, such as fences. Setbacks are mandated buffers between property borders and permanent structures that help maintain a feeling of openness in communities, as well as providing for safety margins in the event of fires. For example, if you are extending the side of your home, you will need to be aware of your local building code's required setback distances. There will likely be setback rules for extending a property to the front and back of a house, as well. Usually, this involves maintaining a minimum distance between the edge of structures and the surveyed property boundaries. Structural home additions, garages, sheds, and decks can all be subject to these setback rules. Again, your local building inspections office can let you know what setback regulations are in effect. While easements are rarely waived, violations to setback and some other zoning requirements are sometimes allowed through the legal process of applying for and receiving a variance. A variance is an officially-approved exception to zoning ordinances. Most commonly, variances are requested when a homeowner wishes to build a larger house on his or her lot than is allowed by zoning ordinances. By requesting a variance, the homeowner may be allowed to build that larger home, or to complete a room addition that violates setback regulations. The permit office may consult with neighbors when a variance is requested, and their approval may be key to obtaining the variance. You may think that any house plan or blueprint that is published or created by an architect, or any published building plan for a shed or garage, is automatically sufficient to obtain a permit. Stock building plans abound on the Internet. Homeowners, instead of spending $1,500 custom architect-drawn plans, can buy ready-made plans for as low as $500 to $600 for a 2-bedroom, 2-bath house with a garage. But your local building permit office may not approve these plans. Even though the Internet plans may have been drawn by an architect, your office may require that the plans be created by an architect licensed within your state. Other potential snags when seeking a permit are the conditions, covenants, and restrictions (CCRs) that are often found in planned communities, subdivisions, or planned unit developments (PUDs). CCRs act as a type of "shadow zoning ordinance"—ordinances within ordinances. These restrictions are in addition to your municipal ordinances, and you will need to meet them to avoid violating your contractual agreement with the neighborhood association. The inspection is an integral part of the overall permit process, and under no circumstance should you or your contractor ignore this step. With some projects, there will even be two inspections—one at the "rough-in" stage and one final inspection. This is not something to fear since the inspector is there just to make sure the work has been done safely. It is often a very brief, perfunctory visit. When an inspector is already familiar with a contractor's work, the inspection is sometimes little more than a drive-by glance. Inspectors may be a little more diligent about the inspection if the work has been done by a homeowner, but it is still a very routine process. The main reason some homeowners do not apply for building permits is that they dread the idea of failing an inspection. But this is no big deal. You will have every opportunity to correct any problems that have been flagged. The inspector will return for a second inspection (or even a third or fourth, if necessary) and sign-off (or "close") the permit once the work is done to his or her satisfaction. It can be very tempting to ignore the permit process and to hide the work you are doing, especially if it is inside the home where you can work without anyone seeing it. And while you might get by with this, it is equally likely that such short-cuts will cost you plenty in the end. If it comes to light that you have done work without a required permit, you could be forced to apply for a permit after the fact, at greatly increased cost. And you might even have to tear out walls or ceilings in order for the work to be inspected. If you made any mistakes, you'll be forced to demolish the entire job and start over. Your homeowner's insurance coverage can also be affected. For example, should you have a flood or fire due to poor plumbing or electrical work, your insurance policy has a case for denying coverage if the work was done off-permit.